SKU: PIN-GRIFF. Categories: Brooches & Clasps, Animal Pins. The noble griffin is known as a fierce guardian. 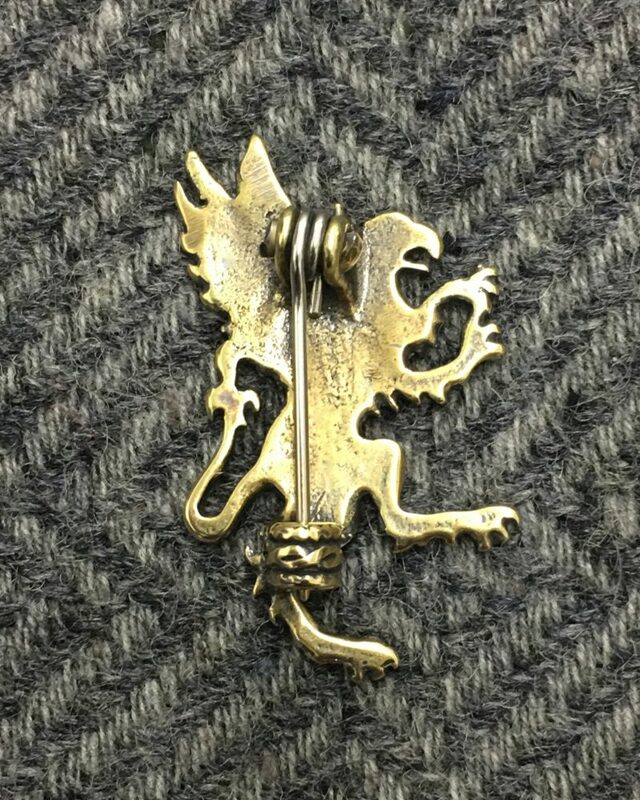 Let our Griffin Pin scare off thieves, ruffians or annoying neighbors! 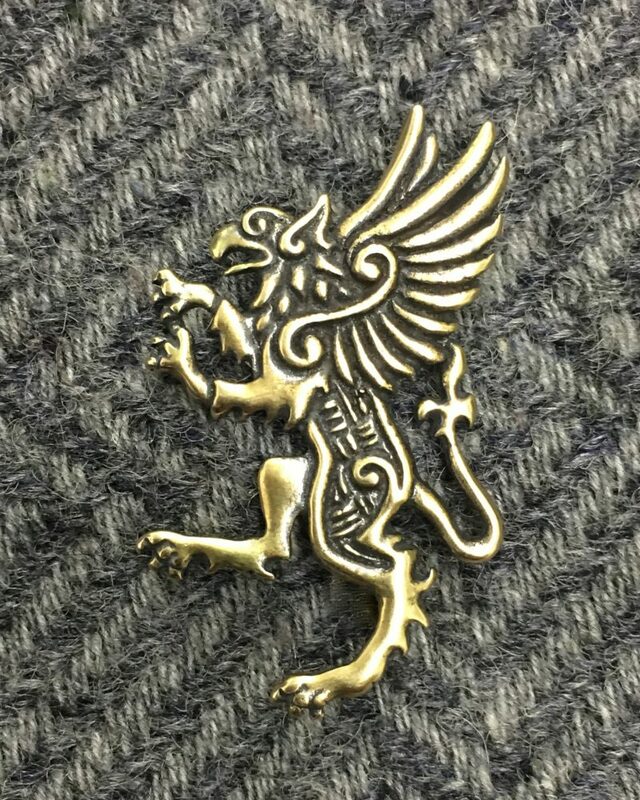 Our Griffin pin is 2.25″ by 1.5” (56 x 38 mm) and comes in both bronze and sterling silver. It features a modern pinback suitable for pinning to most any clothing. Spelled Griffin, Griffon, and Gryphon, this legendary creature has the body, tail, and back legs of a lion and the head, talons, and wings of an eagle. They were said to love gold above all else, and they would build nests of it high in the mountains. Their nests were very tempting to the treasure hunters though, and they were forced to keep vigilant guard over them. Their instinct led them to know where buried treasures lay, and they did their best to keep plunderers at a distance. The griffin is one of the first animals seen in Celtic art. Early Celtic warriors would adorned their sword scabbards, belt buckles, and mounts with images of the creature. It is likely they were inspired by their Greeks neighbors to the south. The Greeks saw the Griffon as a noble and wise creature, but capable of great wrath and violence when angered. They believed a huge golden griffon pulled the chariot of their god Apollo.